Polar White 2019 Mercedes-Benz E-Class E 450 4MATIC® 4MATIC® 9-Speed Automatic 3.0L V6 BiTurbo 4MATIC®. 19/26 City/Highway MPG -Polar White 2019 Mercedes-Benz E-Class E 450 4MATIC® 4MATIC® 9-Speed Automatic 3.0L V6 BiTurbo 4MATIC®. Desg Cardinal R 2019 Mercedes-Benz E-Class E 53 AMG® 4MATIC® 4MATIC® 9-Speed Automatic I6 I6, 4MATIC®. 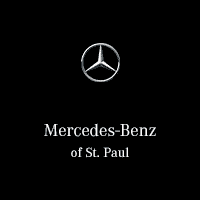 21/28 City/Highway MPG -Desg Cardinal R 2019 Mercedes-Benz E-Class E 53 AMG® 4MATIC® 4MATIC® 9-Speed Automatic I6 I6, 4MATIC®.